It seems that every time we go on Amazon we discover a newly launched skincare line (why hello there Baebody Beauty) added to the numerous others ones, that are more established in their own right but still building their mainstream reputation inclusive of Cosmetic Skin Solutions or Christina Moss Naturals. Depending on if you are a skincare junkie or not this can either be a treasure chest of endless delight or a nightmare of Pandora’s box proportions. On first glance, many of them seem to offer all the benefits of high-end skin care lines without the hefty price-tags. They have the right ingredients, ones proven to be effective in terms of anti-aging and a multitude of reviews waxing poetic about the age-defying results they bring. The thing is upon closer inspection – things just don’t seem to add up. When you read all those positive reviews in more depth you realize many of them lack in quality; they have terrible spelling, grammar and often seem to be written by the same 5 people. Although these brands may include skin-beneficial ingredients in their products, there is lack of information on the formulation, quality control or even the company background. All of this doesn’t exactly help to trust these brands in terms of their product’s effectiveness. Since we’re basically a reincarnation of Jessica Jones and have master investigating skills (*cough* Instagram stalker) we’ve gone ahead and done in-depth research on some of the popular Amazon Brands, helping you figure out which ones you can trust. It seems like Baebody Beauty was launched in 2017, making it very new to the skincare scene. Although the brand uses an impressive range of skincare ingredients at extremely reasonable prices we’re still a bit apprehensive. Besides a few sentences, the website doesn’t really include much background information about who Baebody Beauty actually is and we’re not sure how organic their reviews are – a lot of them seem a little too enthusiastic. Although our verdict is still out on Baebody Beauty, if you can manage your expectations when it comes to their hyped claims, it might be worth it to try some of their products as the combination of their inviting price point with their intriguing ingredients certainly is appealing. Beyond the actual skincare products, Cosmetic Skin Solutions credentials are also impressive. The brand’s facility in Nevada is not only FDA-Registered but also state-approved for manufacturing cosmetics. From our own experience, when it comes to Customer Service, Cosmetic Skin Solutions have always been polite, fast to respond as well as helping to solve any problems we’ve had. CSS also has a 30-day return policy for any product purchased if you were not satisfied. CSS’s powerful serum includes a number of powerful ingredients that work together to effectively target the signs of aging. 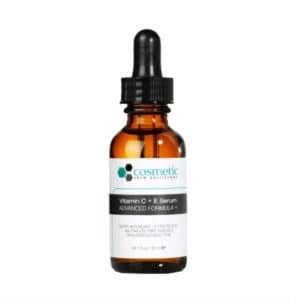 Look out for the antioxidants Vitamin C & E that help fight free radical damage, Ferulic Acid that supports these efforts and Hyaluronic Acid to boost the skin’s hydration levels. For skin in need of a moisture boost, this serum is the way to go. 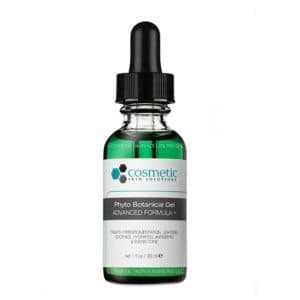 The formula combines ingredients like Pantothenic Acid (B5) with Hyaluronic Acid to ensure that hydration levels are increased. This powerful serum targets uneven skin tone and hyperpigmentation through the combination of Arbutin, Kojic Acid, as well Bearberry Leave extract. To balance out the formula Cucumber extract is included to soothe and also Thyme Extract known for its antibacterial properties. Although the ingredients used in Body Merry’s range look promising we’re a little skeptical about the unrealistic product claims but also concerned if the skin care line actually does anything. After taking a more in-depth look at the reviews (disregarding the ones that seem a little too positive) for Body Merry’s products like the Retinol Surge Cream ($20.50) as well as the Age Defense Eye Cream ($16.14) we noticed that there were more than a few customers who said they didn’t notice any results from consistent long term use. If you’re curious, besides the ingredients, the affordable pricing seems to be the main reason to give Body Merry a try. 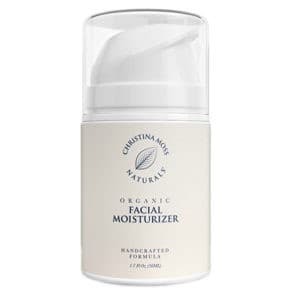 Christina Moss Naturals is a family run business that skews towards a more holistic path in regards to skincare. Their products’ are formulated without harmful chemical ingredients like dyes, parabens, sulfates or even synesthetic fragrances or preservatives. The brand also uses recycled plastic and biodegradable labels for their product packaging. One of the things we really like about Christina Moss Naturals is that they offer a satisfaction guarantee if someone is not happy with their purchase they can return it! They also have great customer service that even takes the time to write back to any unhappy customers. This moisturizer is made from a unique blend of ingredients inclusive of Aloe Vera as well as the nourishing Apricot Kernal, Avocado & Grape Seed oils in order to provide a serious hydration boost. Key product benefits include that the formula is non-greasy and won’t leave a film on the skin. 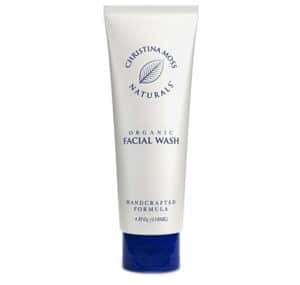 This gentle face wash will cleanse skin without over-stripping or leave it feeling tight. The formula focuses on nourishing ingredients such as of Coconut and Olive oil as well as Shea butter. The only downside is the small amount of Rosemary Essential Oil that is included in the formula probably for its fragrant properties as this can be sensitizing for the skin. Luckily it’s such a small amount so should not be a concern for most. Timeless skin care is a popular skincare line that not only offers a wide variety of products to choose from but with many of them seems affordable as they are effective. The brand’s products take the “less is more approach” to their formulas targeting active ingredients and avoiding fillers and parabens. Timeless skin care also doesn’t test on animals and avoids making overblown claims about their product’s capabilities making the brand seem to be more honest. We also like how none of the Amazon reviews seem to be written by review writers. 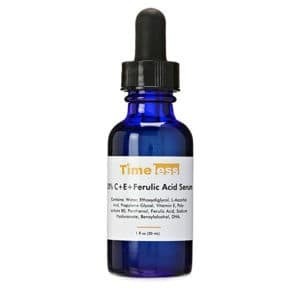 Timeless Skin Care’s non-greasy serum combines the star ingredient Vitamin C with Vitamin E, Ferulic Acid to maximize the anti-aging benefits. Another notable ingredient, Hyaluronic Acid is included in the formula to provide skin with a moisture boost. Unlike some other Vitamin C serums, Timeless Skincares’ one dries fast and clear. This anti-aging serum contains the intriguing Matrixyl 3000 is made up of 2 peptides (Palmitoyl-Tripeptide and Palmitoyl-Oligopeptide) whose combination shows powerful wrinkle fighting capabilities on par with Vitamin A derivatives like Retinol and Retinoic Acid. 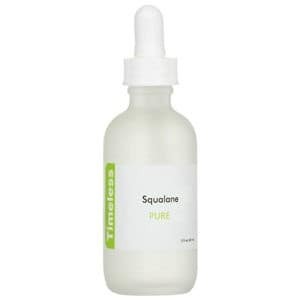 Timeless Skin Care’s Squalane is 100% Olive derived and leaves skin hydrated without being tacky. 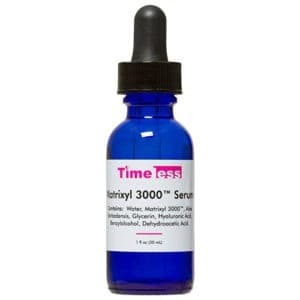 The serum will also help calm soothe irritated or inflamed skin. When it comes to finding the right skincare products that suit your skin a lot of it is about trial and error. The thing is whether you’re dealing with a mega-brand or smaller one, claims are often over blown so as long as you tread carefully and do your research you should be good to go. You might even find that hidden unicorn that is both affordable and also lives up to the hype.